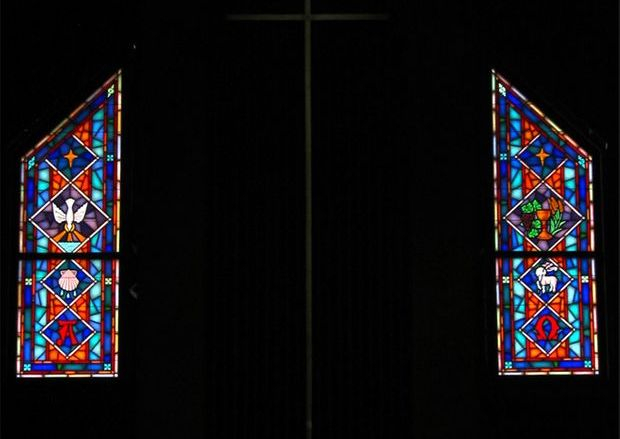 In 2004, Laws Stained Glass Studios installed (7) hand-stained pictorial glass windows at Providence Presbyterian Church in West Columbia, SC. The seven windows (size 24" wide x 83"high) depicted the following scenes: the Nativity, the Baptism, Sermon on the Mount, Blessing the Little Children, the Good Shepherd, the Resurrection, and Jesus Carrying the Cross. Each window also had a memorial plate in a scroll at the bottom. For the installation, Laws removed the existing aluminum frames and installed a new dark bronze aluminum frame. On the exterior, 1/4" Lucite acrylic was placed as the protective covering. 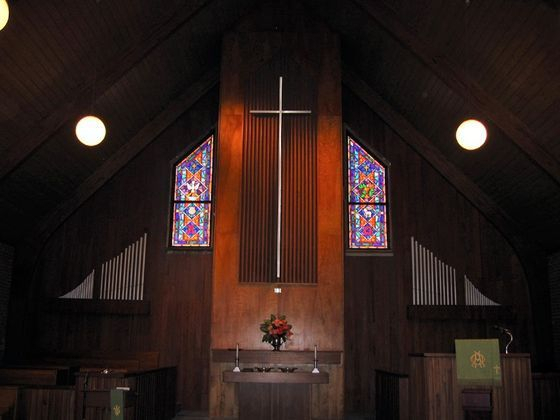 In 2006, Laws returned to Providence Presbyterian Church to install two more windows. To accommodate these windows, the church made openings on either side of the pulpit to set the new windows. Laws installed new dark bronze aluminum frames into the rough openings. On the exterior, 1/4" Lucite acrylic was set. These hand-stained glass windows (size 36" wide x 107" high with an angled top) each have three symbols. On the left side, the windows has the larger symbol of baptism with smaller symbols of the alpha and a shell (representing baptism by sprinkling). On the right side, the larger symbol represents communion and the smaller ones are the lamb of god and the omega. Both of the windows have the morning star symbol at the top. In 2007, Laws Stained Glass Studios installed a large pictorial window opposite of the pulpit. This window (size 69" wide x 222" high with a pointed top) depicts Jesus's ascension. At the top of the window is the morning star and at the bottom there is a ribbon. The ribbon reads, "Matthew 28:20 'And Surely I Am With You Always...'" To install this window, Laws removed the existing wooden frame and glass. A new dark bronze aluminum frame was installed with 1/4" Lucite acrylic on the outside.